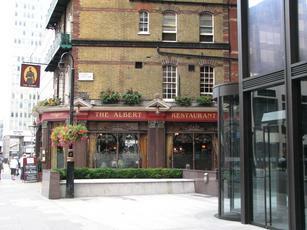 After drinks at the Channel 4 studios where I was invited to a screening of something my wife is in, we all piled into the Albert nearby in St James. It was pretty functional and I imagine they get a lot of passing tourist trade. Victoriana crossed with coffee shop chain décor, some seasonal Christmas ales (one of which was the Hobgoblin one, I forget the other). They also do 50p off for CAMRA members although don't advertise it. Overall I'd say it's the sort of pub you'd be happy to go with work colleagues, or after a visit to Channel 4 but nothing spectacular otherwise. I did think the shape of the building was impressive and beautifully contrasted against the modern office buildings either side of it. 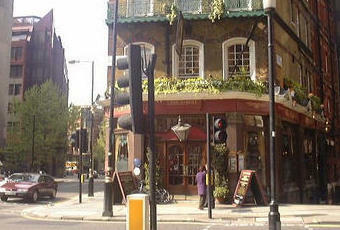 "beercritic" seems to be obsessed with this pub, judging by the amount of comments s/he posts. Very strange behaviour. Paul the manager trying to inject some life into this pub which is a big tourist attraction. In need of a refurb to bring it to to date. Would help if they did away with mock victorian theme.Staff very good. Suffers from the coffee bar syndrome whereby too many tourists think it is a starbucks to the detrement of people who actually want a drink. 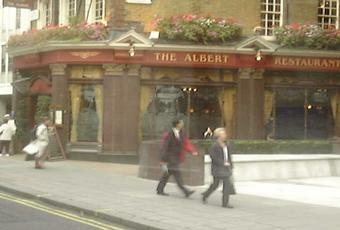 An attractive looking pub close to Victoria Railway Station. Wonderful engraved window glass. London Pride OK and the place had a friendly, comfortable atmosphere. But why of why the need for loud rock music. Completely out of place in the Victorian surroundings. People wanted to drink and talk, not get deafened by that row. The Chelsea Pensioner on our table tucked into his steak & kidney pudding and chips which looked nourishing. Not a bad pub at all.